The Library Crossing project is being lead by the Beautification Committee, which is one of the committees within the Tipton Main Street Association. Goal – To increase awareness & safety to the area between the Tipton County Parking Lot and the Tipton County Public Library, while also beautifying the area. The concern was raised that the area of roadway connecting the Library to the County parking lot received a high level of foot traffic from patrons, and there was a desire to have a formal crossing area designated. This designated crossing would act as a visual reminder to those passing in a vehicle that library patrons will be utilizing this area frequently throughout library hours, and to use caution when entering the area. Additionally, with all of the recent exterior beautification work being completed by the Library, it was was imperative that an aspect of this project attain the same level of beautification. 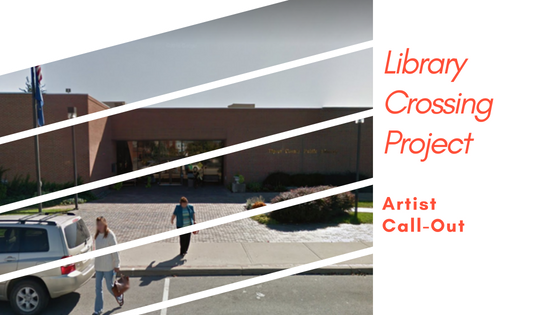 Our goal is to make the crossing section a piece of art that will help compliment the great programming and work of our Public Library. The video below will provide a more specific overview of the crossing area. If you are interested in submitting a concept for this project, we would encourage you to download the PDF below. This PDF will detail the project, its deadlines, and other important information regarding our project.